This article described and defined the sulphate corrosion effects. This type of corrosion is one of the most important factors that limit the lifespan of concrete construction. Harsh environmental conditions have a large impact on the operational costs of concrete piles or columns. The presented phenomena are non-deterministic; therefore, the reliability analysis was used for the assessment of the impact. The strength characteristics of the soil around the construction modeled as one-dimensional random field, and corrosion defined by a set of random variables. Fick’s second law described the penetration of sulphate ingress into the concrete material with explicit numerical solutions for boundary conditions and an increase in the transition factor under the progress of corrosion. This process was solved in an analytical and numerical way to calculate corrosion, generate random fields and determine the reliability. A numerical example was provided to illustrate the proposed method to prevent unexpected structural failures during pile service life. 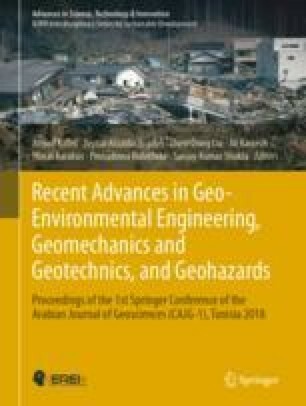 The proposed methodology can assist designers and the management of the existing piles in the decision making concerning interventions that ensure safe and serviceable operations of a geotechnical construction.